This week: Facebook prioritizes local news, Twitter opens up the Alexandrian Library of all tweets, and it looks like Google Home is gaining market share on Amazon Echo. Facebook recently made news with a statement that it will de-emphasize news in its upcoming algorithm change. However, the newsfeed will prioritize local news. The change will start in the U.S. first and then expand to other countries later this year. “We identify local publishers as those whose links are clicked on by readers in a tight geographic area. If a story is from a publisher in your area, and you either follow the publisher’s Page or your friend shares a story from that outlet, it might show up higher in News Feed,” Facebook said in a statement. Also, Facebook is testing a section wholly devoted to local news and events. If you’re a developer, you’ll be happy to learn that you can now access every tweet that has ever been published. In the past, you could only access up to 30 days of tweets via the premium API. Now, you can grab tweets all the way to back to the very first one, published by Jack Dorsey himself in 2006. Also, the new endpoint will let you retrieve more tweets per request than the standard API. The new full-search archive isn’t free, though. It’s a subscription service that starts at $99/month. You do, however, have the option to “try before you buy.” Twitter will let you have access to a sandbox environment where you’ll get up to 50 requests per month. There’s a new report in Google Analytics that offers insight into your custom audiences. If you aren’t familiar with custom audiences, they’re groups of people who meet a predefined condition. They can consist of new visitors, past buyers, returning visitors, and so on. 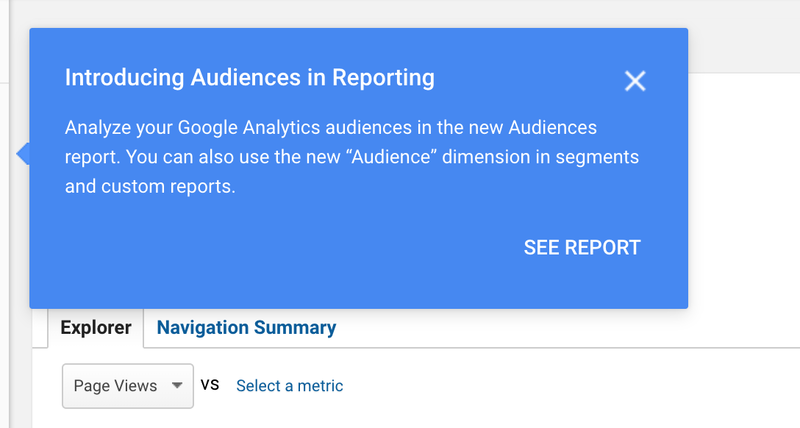 Unsurprisingly, the new “Audiences” report is found under the “Audience” menu in Google Analytics. As of now, though, it doesn’t appear that the new feature has rolled out to all users. If you don’t see it today, it should be there eventually. Finally: Instagram is making it easy for you to schedule posts. You’ll have to find a tool that uses the Instagram Graph API, though. Hootsuite is one such tool. In fact, Hootsuite says that scheduling Instagram posts is the number one request that the company receives from its user community. Those people have been heard. 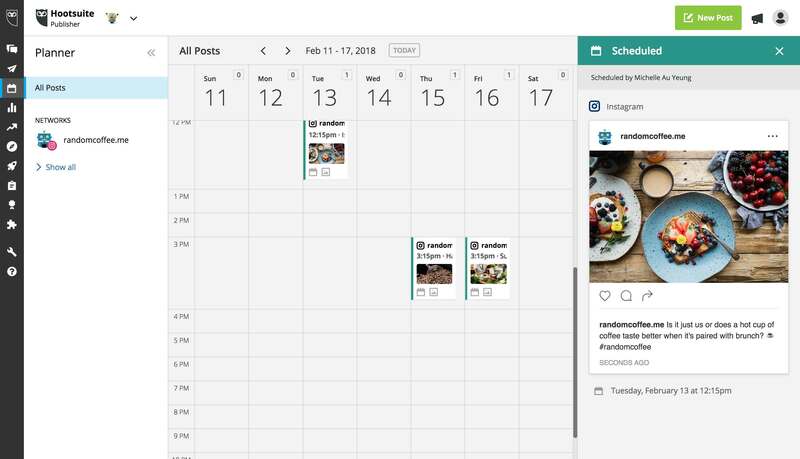 As of now, it looks like Instagram expects scheduling to be used by business and enterprise clients. That could change in the future, though. According to data collected by Consumer Intelligence Research Partners (CIRP), Google Home is taking a nice bite out of the Amazon Echo market share. CIRP claims that Google Home accounted for 40% of the smart speakers sold during the holiday season. Amazon still dominates the market, though, with 31 million installed units in the US. That’s a 69% share. By way of comparison, Google Home devices account for 14 million installed units in the US for a 31% market share. Based on the holiday sales performance, that could change soon. In Google’s favor. The conventional wisdom is that you should only rank for a single keyword per page. But Google says you can rank for two keywords on one page. That’s according to Google’s Aaseesh Marina. It’s probably best if those two keywords are related, though. You might be under the impression that Google’s algorithm checks the Flesch-Kincaid readability level of a website and uses that metric as a ranking signal. According to John Mueller, that’s not the case. So from from an SEO point of view, it’s probably not something that you need to focus on, in the sense that, as far as I know, we don’t have kind of these basic algorithms that just count words and try to figure out what the reading level is based on these existing algorithms. He did, however, go on to say that it’s important to figure out what’s best for your audience. In other words, if your visitors can’t comprehend what you’re writing because it’s at too high of a level, then you’re not providing a whole lot of value. As with so many other things related to SEO these days, it all comes down to user experience. You can now sponsor a Twitter Moment. If you’re unfamiliar with Twitter Moments, they’re highlighted tweets designed to showcase the best of what’s happening on Twitter. Now, you can include your own tweet in Twitter Moments as an advertisement. As you can see, you need to associate your brand with a publisher to qualify. According to Twitter, part of the goal of the program is to ensure “that brands and publishers are paired up on a 1:1 basis.” In other words, it’s designed for a “moment” when there’s a direct correlation between partner content and your advertisement. You can target target a Sponsored Tweet to a specific audience as well.